Jobs for a Healthier Diet and a Stronger Economy. 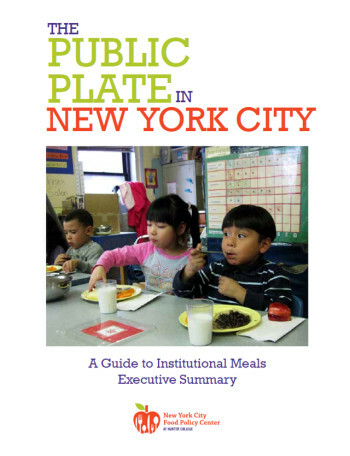 Learn more about food policy in New York City. Here we present short-form research and original work produced by our Center, CUNY faculty and students that provide background on food issues and also informs current dialog in food policy. 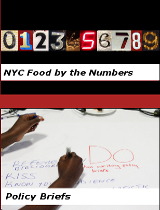 Here you’ll find food policy statistics, white papers and testimonies collected and prepared by the New York City Food Policy Center. 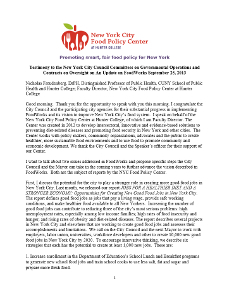 New York City Food Policy Watch is the weekly e-newsletter of the New York City Food Policy Center at Hunter College. 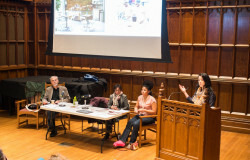 We keep an eye on food policy in New York City and on urban food policy around the nation and the world. 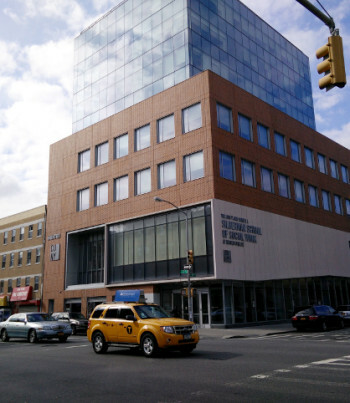 We also provide updates on our own policy analyses and research activities and on the food policy activities of City University of New York faculty, students and staff. To subscribe to our e-newsletter click here. Here you’ll find journal publications prepared by NYC Food Policy Center affiliated faculty and students. 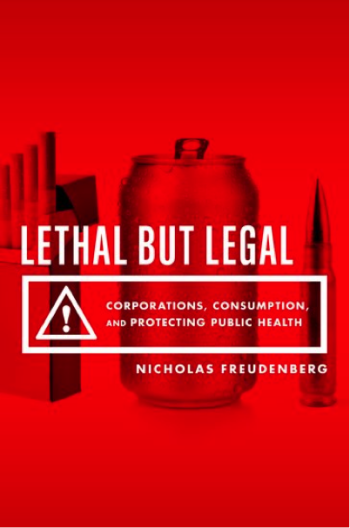 Freudenberg, N. Lethal but Legal: Corporations, Consumption, and Protecting Public Health. New York: Oxford University Press; 2014. 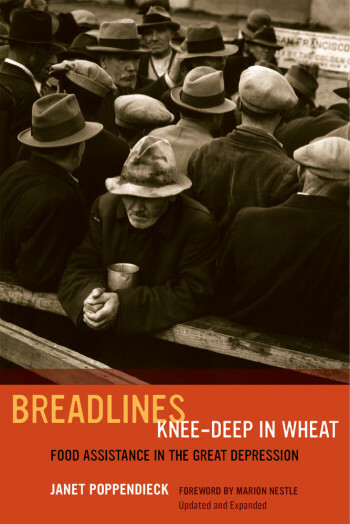 Poppendieck J. Breadlines Knee-Deep in Wheat: Food Assistance in the Great Depression, Revised and Expanded. University of California Press, 2014. Select videos from our seminar series and other events.